Four-time Olympic champion guards Sue Bird and Diana Taurasi were among 16 roster finalists named Tuesday for two-time defending champion United States ahead of this month's Women's Basketball World Cup. The American dynasty has won six of the past eight women's world titles, losing only twice since 1986, as well as six consecutive Olympic gold medals and eight of the past nine with only one loss over 32 years. US women have never taken three consecutive world titles, a feat they will try to achieve September 22-30 at Tenerife in Spain's Canary Islands. 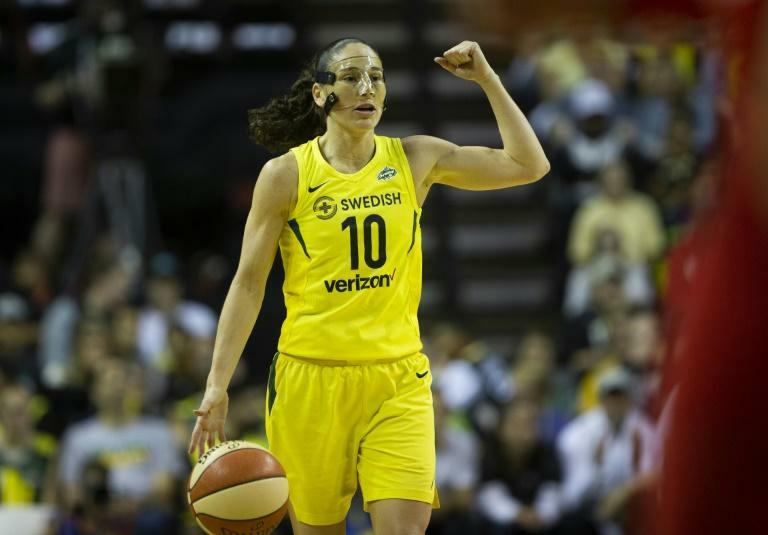 Also among 16 players seeking a spot on the final 12-woman roster were two-time Olympic and two-time world champion Tina Charles, 2014 world champion Nneka Ogwumike and 2016 Olympic champions Elena Delle Donne, Brittney Griner and Breanna Stewart. Seeking their first US world team berth are Women's NBA standouts Layshia Clarendon, Jewell Loyd, Kelsey Mitchell, Tiffany Mitchell, Kelsey Plum, Morgan Tuck, Elizabeth Williams and A'ja Wilson plus collegian Napheesa Collier. "We had a great group of pool players that gave themselves a chance to be a part of the 16," US coach Dawn Staley said. The Americans will play in a pre-Cup event Saturday through Monday at Antibes, France, with Senegal, Canada and the French teams with the final roster selected just ahead of the Cup start. "I'm just looking forward to leaving the country and playing some different competition, and continuing to create a bond and build the chemistry that is needed to win the World Cup," Staley said.